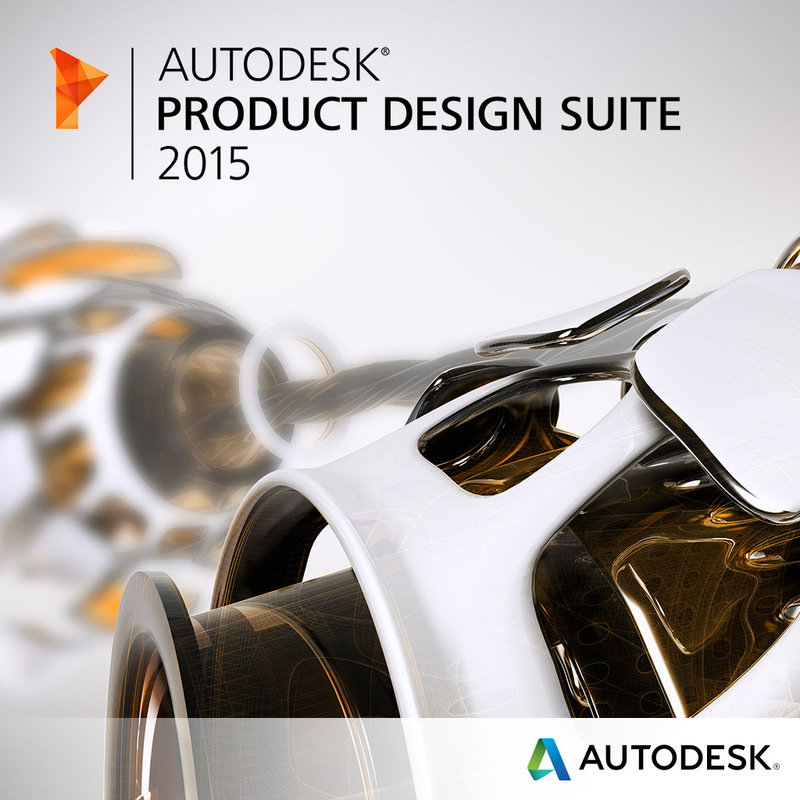 What’s New in the Autodesk Product Design Suite 2015? Of all the Autodesk design suites this year, the Product Design Suite has had the most changes. This year, Autodesk is dropping the Standard edition and offering only the Premium and Ultimate editions. If you have the Standard edition now, you will be moved to the Premium edition in 2015. If you have the premium or the Ultimate editions, you will now be fulfilled with the Ultimate edition. Autodesk Subscription pricing for Premium and Standard editions remains the same as this year, so even though you get a better package, you will not need to pay more for the Subscription pricing. Ultimate subscribers will actually see a break in the price to match the previous Premium subscriber cost. The Product Design Ultimate edition builds off the Premium edition of the suite. Below are the updates to all the tools in the suite. To learn more how AutoCAD Mechanical fits into your workflow, see this productivity study between AutoCAD and AutoCAD Mechanical. Save time using image display features that help you embed, insert and export images, and display image subsets with a polygonal mask boundary. Improve image quality with editing and cleanup tools that help you despeckle, bias, mirror, and touchup scanned design information. Easily erase raster images, lines, arcs, and circles using standard AutoCAD commands on raster regions and primitives with raster entity manipulation (REM). Create lines and polylines from raster images with vectorization tools. Incorporate geospatial raster data with image transformation functionality. Display and analyse geo-referenced images when the software is used with AutoCAD®, Civil 3D® and AutoCAD® Map 3D software. For more information, contact us or go to the Autodesk Raster Design page. Capture and integrate reality directly into your design process with ReCap reality capture software. ReCap point cloud and image-based 3D modeling software and services work seamlessly with Autodesk design and creation suites, so you can start your design with accurate dimensions and full photo-quality context rather than a blank screen. To see all the details, please read “What’s New in Autodesk 3ds Max?” posted by the AREA, the site for Autodesk visualization and animation. The new features for Navisworks® Simulate include tools to enable project tracking, coordination, construction simulation, model review, and whole-project analysis. To read more, see our post specific to Autodesk Navisworks solutions. Autodesk® Vault data management software helps design and engineering workgroups to securely organize, manage, and track their data. Enjoy more control over design data with change and revision management capabilities. With Autodesk Vault, users can quickly find and reuse design data and more easily manage design and engineering information. See our post on Autodesk Vault. Showcase 3D visualization and 3D presentation software provides easy-to-use presentation and design exploration tools for architects, designers, engineers, and marketing professionals. Quickly transform 3D CAD models into interactive walk-throughs and presentations, so that you can evaluate aesthetic and design alternatives in real time with peers, constituents, and customers. The Ultimate edition builds on the Premium as it has all the product functionality plus additional tools. Note that Inventor is replaced with Inventor Professional and Navisworks Simulate is replaced with Navisworks Manage. The new features for Navisworks® Manage include tools to enable project tracking, coordination, construction simulation, model review, and whole-project analysis. To read more, see our post specific to Autodesk Navisworks solutions. Autodesk® AutoCAD® Electrical, part of the Autodesk solution for Digital Prototyping, is AutoCAD® software for control designers, that is purpose-built to create and modify electrical control systems. It contains all the functionality of AutoCAD, plus a comprehensive set of tools for automating control engineering tasks, such as building circuits, numbering wires, and creating bills of material. AutoCAD Electrical provides a library of more than 700,000 electrical symbols and components, includes real-time error checking, and enables electrical and mechanical teams to collaborate on digital prototypes built with Autodesk® Inventor® software. AutoCAD Electrical offers control engineers a competitive edge by helping save hours of effort, so they can spend more time innovating. See more about Alias Design on the Autodesk site. Do you have questions about the Product Design Suite changes or how you can download your copy if you are on Autodesk Subscription? Contact us by phone (800.836.5440) email.